The other day we took our kids out to try a neighborhood soccer meetup. We thought it would be a good intro for them and we could meet some folks as well. When we got there we split them up into age groups and Hunter had to fit in with 4-5, which is ok because he just turned 4 yesterday. We first got set up and the kids ran some drills. Hunter did great, he could dribble the ball and score the goal each time like he was supposed to. I suppose the dad running this had other plans or got bored, because he just started a game. My kid has literally kicked a soccer ball for fun all his life, and now he has a "competitive game". So they divide up 3v3, explain a few guidelines, and then let them go at it. Soon after I have a crying kid on the sideline. I'm wondering..."did he get hurt?". Nope..."Daddy, I didn't win the game". This coming soon after the ball had been scored by another teammate. He was upset because he wasn't fast enough to get the ball and score, even if his team was winning. So life lesson #1 of the day coming out, it's a team game, you are all trying to score the goal, as long as you do that, you are winning. I come from a home where the participation trophy was garbage. Actually didn't like to accept them, but had to be nice. I love Hunter's spirit to win, but I learned that there are different ideas of winning to each person. He may not be a team sports person. I disliked team sports because I liked winning on my own skill and perseverance. He may be the same way. Relying on other people for help and collaboration was never my strong suit. In the professional world I've had to learn this and deal with it. For him, I could try and show him early on how to handle this. I'm upset that he didn't enjoy the game part, but happy he likes soccer and sports in general. It's good exercise and fun for the kids. Now on to the fun stuff, it's Halloween soon. 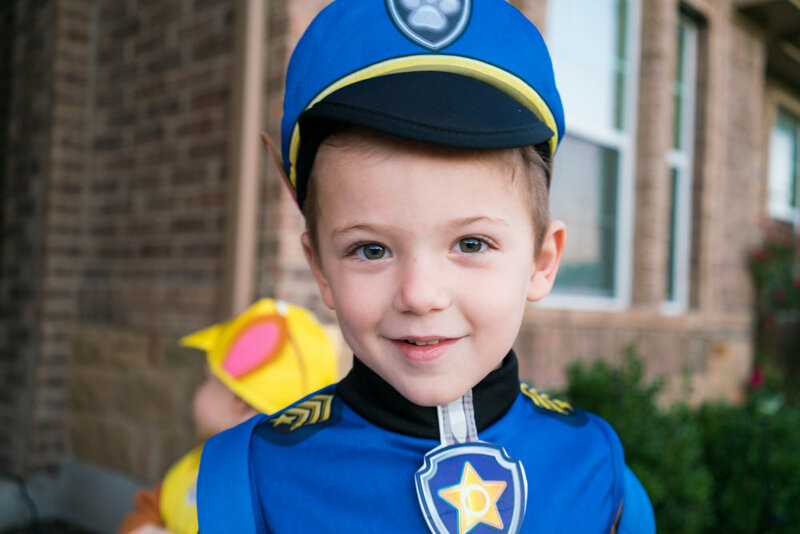 The kids are going as Paw Patrol and today they got to dress up for school to go trick-or-treat. So, Dad had to get the Sony out and snap a few in front of the house. I got a few candids and cheeky shots. I love 'em so much, they are going to love the real trick-or-treating again in our neighborhood. The real job has been busy since last year. Being in security, the world is now investing more in keeping their info and people safe. That's where I come in. I work in the security division for software and it's my job to help deploy technology to end users. I enjoy that job, but my passion is still making great images. We just had our 3rd son, Finley. Our new bundle of joy has come in at a hefty 9 lbs 8 oz and was born on Sept 27. We are catching up on sleep now but the first 2 weeks I took off work and stayed home with the kids and wife. It's important to take the time off with family and I'm glad my work is ok with this. Everyone is happy and healthy and so I'm back to the grind full time. I'm hoping to start the personal grind again soon. I've taken some time off to explore other hobbies and clear my head. I've had a lapse in creativity, drive, passion, etc. It doesn't feel like burnout, just a lack of desire. I know that can't be true, I still have the passion, but I think the drive was gone. Helping out with 2 small kids and a pregnant wife takes priority. I feel like the family is complete. All boys are healthy and happy. It's time to start getting back into it. I picked up the A7r2 to shoot some shots of our baby. They came out well. We had a variety of poses and props to choose from. The image below is exceptional for a couple reasons. 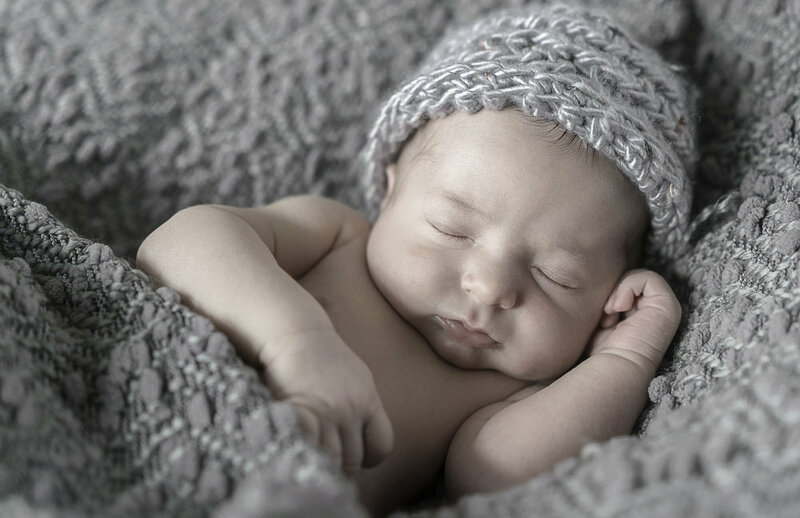 For one, my wife learned how to crochet and she made this hat for Fin. Second, the image is just too cute. We got a sweet, sleepy pose and he curled up all warm in his blanket. I should be back on more updating the blog. For now please enjoy this image. It was really a pleasure working with this family. They are friends of ours and needed to get some holiday photos out for the season. We ended up over at Champions park in Brushy Creek and it's actually a great time of year to be photographing there. I set up first around the wild grasses that have since turned golden brown and look amazing at sunset. They brought a beautiful color patch blanket that really made them pop with the landscape. The baby was so sweet and was giggly and bubbly. So much fun so mom and dad could relax and make beautiful images. Once we got a few shots over by the grasses we moved over to a bridge that is nearby. There's a nice view of the creek just to the side so we set up on a rock there and took a few snaps. Our little trooper allowed for one more location shoot and my client had some Christmas lights to try out so we got those out and tried it out. We shot a few with the lights and it was really cute. Baby enjoyed the pretty lights and with a small inverter my client actually powered the lights! Had a blast and really happy to deliver these images to the client on time for them to make cards and send them out.